Gambling is good business. People go without pressure around the world into casinos everyday knowing full well that every bet they make, the house has a mathematical advantage over you, it's true, we all know that. Yet we all have bet some money hoping beyond hope that we can be one of the lucky ones. That compelling urge of millions of regular people giving away their money to gambling establishments gives me the argument, why can't I be on the other side raking in the money? Well with these 3 Canadian stocks listed on the TSX, you can be. Amaya does not operate any physical casinos or any buildings you can go into. They own PokerStars and Full Tilt Poker, which when combined together is the dominant player in this market share of online poker. Now there was a lot of press regarding the insider trading scandal with former CEO David Baazov being charged and the trail is still going on but now that Baazov has officially left the company, things can move forward. The good news is that in 2016, Amaya generated $355 Million in free cash flow which will be applied against their debt. If everything continues as is in terms of budgeted cash flow, their debt will be paid off in a few years. Another interesting thing about Amaya is that it collects most of its revenue in Euros while reporting in U.S. dollars. Currently the Euro is at about a 5 year low thanks for the Brexit vote against the U.S. dollar so if the Euro strengths against the U.S. Dollar, Amaya's position will improve without doing much, similar to an improved currency exchange. Amaya does not pay a dividend. Gamehost owns 3 physical casinos in Alberta and it has been tough the last few years for them as Alberta's economy has been hit and with the most recent Fort McMurray wildfire, they had to shut down one of their properties for a while. But as the greatest investor of all time, Warren Buffet says "buy when there is blood on the street". Well in this case, its wildfires in the street and once again, consider the URGE factor for gamblers, it continues despite outside influences. Gamehost currently trades at a 15 times their earnings. The classic P/E ration screening test. This gives it a very attractive valuation. Also GH pays a very healthy dividend, currently a yield of 5.75% monthly. How about that, on top of having the house advantage on every bet, you get a monthly dividend. As Alberta's economy improves, there is always chances for dividend increases. GC is Canada's largest publicly traded casino operator. It has 20 casinos and racetracks in British Columbia, Ontario, Nova Scotia, New Brunswick, and Washington State. The company has done well in the last few years, with net income in 2016 of $75 million. GC does not pay a dividend but uses its profits to open new locations and upgrade existing establishments. It also has a buyback program, buying back more than 6 million shares or close to 10% of is total shares in 2016. Canada has a few interesting choices in gambling stocks and I have outlined 3 of them above. I am all for diversifying but the general consensus in Canada is to buy banks, utilities, oil stocks, etc. I give an option to expand your portfolio to include gambling stocks much like how I encouraged Food stocks in a previous posts. It's your money and you can diversify just like the experts by doing your homework and picking what you feel works for you. That being said, any one of the above gambling stocks would look good in any portfolio. The last few months have revealed that a lot of investors have gotten onboard the Marijuana wave. Marijuana stocks such as Canopy Growth Corp (WEED.TO) have been touted as the next "can't miss" investment in North American and especially in Canada where the Federal Government will sometime in 2017 announced that selling weed will be legal. Estimates vary but the size of the Marijuana market in Canada is estimated to be between $15 to $25 Billion each year. Canopy Growth Corp is valued at $1.8 Billion and was just recently added to the TSX Composite Index which will add fuel to the valuation going forward. But Canopy is a very expensive stock right now, it did $30 Million in sales in the last 12 months and this gives it a P/E ratio of 60 times. Now using the P/E ratio on a risky stock really doesn't apply and also to compare it to other stocks in the same category again does not work. Canopy is going into uncharted waters with such a lofty valuation based on "what might happen" in the future. If something goes wrong where what happens does not exactly happen that way, what would become of this stock. Analysts have predicted, even if the Federal government passes legislation legalizing Marijuana, it could take at least 2 years for Canopy to make a profit. There is a very interesting term in investing called "buy the rumour, sell the news". I actually have seen this happen a few hundred times. In Canada, there are not a lot of sin stocks to invest in. In the States, there are casinos, brothels, cigarette producers, weapons manufacturers, alcohol, and prison stocks. These are called sin stocks, where what they produce, service, or provide causes harm to someone somewhere. If you value a stock to not harm anyone with your investment dollars then Marijuana stocks may not be for you. It comes down to this. Legal Marijuana will be big business in Canada, but that doesn't mean any of the pot producers will be good investments. Currently Canopy Growth Crop (WEED) and Aurora Cannabis Inc (ACBFF) are trading at very lofty valuations similar to the tech stocks during the dot com craze. Whenever there are such lofty valuations, no one knows which way the stock will go, up or down. The Keg Royalties Income Fund is actually not a stock but an open ended trust. The trust pays monthly distribution is has consistently had attractive high yield. The main objective of the fund is to pay the highest sustainable distribution to its shareholders through it's stores. What more can you ask for, the fund is designed to pay monthly and provide the highest yield possible. If you like your steak with a side of high yield then this stock maybe on your radar. The Boston Pizza Royalties Income Fund is an open ended trust fund. This is not actually a stock that owns the Boston Pizza restaurants like you think. 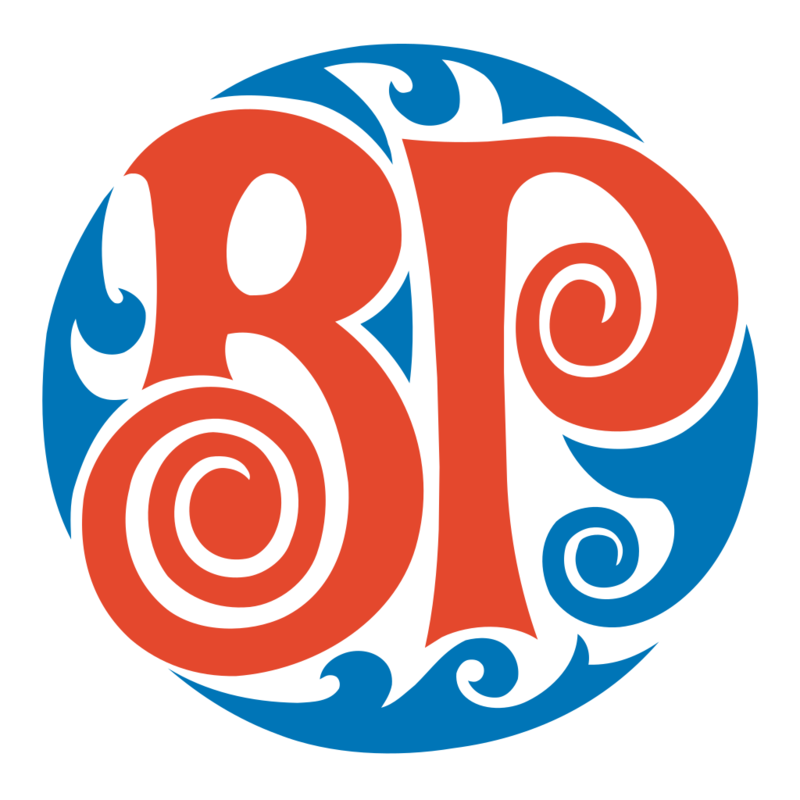 They own the Canadian rights to the Boston Pizza trademark. Which in turn the restaurants have to pay a royalty to use. So basically this fund is indirectly receiving money through royalties from the restaurants. The high yield is somewhat safe as the fund is designed to distribute monthly all available cash to its unit holders after it cash for working capital and a reserve are satisfied. So if you like Boston Pizza's famous pizza sauce then this stock may just be right for you. SIR Royalty Income Fund is in the business of owning and operating full service restaurants in Canada. It operates concept restaurants including Jack Astors, Canyon Creek Chop House and Loose Moose Tap & Grill. The fund intends to pay monthly distributions. So if either of the above brands interest you, then again this stock may be right for you. Pizza Pizza Royalty Corp owns the trademarks and trade names used by all it's franchisees. Pizza Pizza franchises dominate the quick serve pizza industry in Ontario. It also operates Pizza 73 in Western Canada which has over 100 stores. Pizza Pizza has long been a staple in Ontario and now with this stock you will reap the benefits every time you see someone walk out of a store with takeout. So next time you are wondering what stock to buy, think of some dipping sauce with that slice of dividend you could get with this stock. A & W Revenue Royalties Income Fund is a Canada based limited purpose fund. The fund owns the trade mark and rights to the A&W name in Canada. The fund's objective is maintain an annual payout ratio of 100%. Now that number to me is very impressive. The fund's sole purpose to pay monthly distributions to its unit holders through the royalties from over 800 A&W restaurants in Canada. I am sure you have seen the commercials but with this fund, all those commercials will be helping you get more dividends into your account. MTY Food Group is a Canadian company that franchises and operates quick service restaurants in Canada. It has 4 segments to its business, Corporate, Franchising, Distribution, and Processing. Basically it does all the backend work all the way to consumer getting the product. It operates under multiply banners with well known names such as Villa Madina, Thai Express, Yogen Fruz and Cultures. Well established quick service restaurants and well known. So next time you are wondering around the food court in the mall and notice of these names, you can rest assured that that lineup to buy food is also giving you dividends and is bolstering your trading account. The Second Cup Ltd is a Canadian based specialty coffee retailer. There are about 310 cafes operating under the brand name Second Cup in Canada. There are about 30 Corporate stores but the rest are franchise based. Besides the coffee, it also offers sandwiches, muffins, cookies, and a wide range of coffee related products. So next time you get a coffee at Second Cup you can be confident that cup of java is giving you money if you own this stock. Now all of these are stocks and not mutual funds even tho they are called income fund, or royalty fund. There are no MER funds associated with these stocks. They are all available to be purchased on the Toronto Stock Exchange any time, you just have to wait for the right price for you, remember buy low sell high. It still holds true for dividend stocks. Restaurant stocks are a little risky, since they are subject to food scares, seasonal demand, and recessions but they are fun and colourful, especially if they pay a dividend. It's always fun to see someone eat a burger and have a certain great feeling that they are contributing to your RRSP or profit in your account. 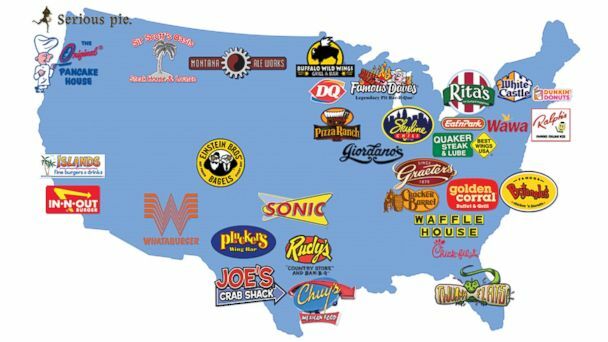 The U.S. has a treasure trove of restaurant stocks, some very well known, some regionally known. Whatever the stock, if it pays a dividend, it will get onto my radar. Making income though dividend investing involves searching for solid companies that have a good chance of increasing the dividend year after year. As the company's sales and profits grow, dividends usually grow also, and the money you get through dividends can be reinvested or used as cash. With interest rates giving less than 1 percent on GICs and other "safe" investments, investors looking for yield can look at U.S. Restaurant stocks. Dine Equity (ticker: DIN). Who doesn't like fluffy pancakes and affordable seafood? Dine Equity known for International House of Pancakes and Applebee's gives a great dividend yield of 5.81% with a low P/E ratio of 12.09. They also are raising their dividend payouts 2 times in the last 3 years. Dunkin Brands Group (ticker DNKN). If you love the stability of a good coffee and donut company then look no further than Dunkin Donuts. This iconic brand in the U.S. increases their dividend annually and pays a respectable 2.31 percent yield. With a lower yield provides more space for the dividend to be paid for a very long time. The company is adding Franchises even tho they are a very large company. With recent earnings beats and dividend hikes, this company looks to be as strong as ever. Yum Brand (ticker YUM). Another above average restaurant stock with a dividend yield above the industry average. Yum Brands is known for KFC, Taco Bell, and Pizza Hut. This stock pays a yield of 2.52% which at this level is very sustainable for the near future. With a very strong history of annual dividend hikes, you will sure be enjoying your fried chicken or pizza more than usual. Darden Restaurants (DRI). Known for family favourites such as Olive Garden and Longhorn Steakhouse. Darden boasts a dividend yield of 2.94% and very strong history of raising dividend payouts, you will be enjoying these dividends with your family meal. Darden has a strong management team that delivers value to shareholders through cost controls and delivering a consistent dining experience. They have diversified their company with a more upper class dining experience by purchasing The Capital Grille. So there you have some of the more stable dividend U.S. Restaurant stocks out there. Of course as with all advice, please do your own research. Disclamer : I do not own any of the above stocks mentioned in this article. So as most people I talk to regarding stocks, investing, money management probably know that I am a strong advocate of dividend investing. Buying quality stocks that pay a good dividend, raises its dividend regularly, has a good dividend payout ratio, has a good P/E ratio, and is a good DRIP candidate. But after 31 stocks that I have purchased over time and have been dripping for a while now, things need to be more entertaining. In my talks with many individuals, I engaged in conversation with 1 person regarding options trading. Amazing returns in short periods of time, sometimes in minutes such as when you buy calls or puts right before an earnings report. So basically, buying either puts or calls is your gamble on whether the stock goes up or down. With dividend investing, you are basically only betting on the stock going up, going up means you are making money. When a stock goes down, you lose money. With call options, you make money when the stock goes up. With put options, you make money when the stock goes down. Now options trading requires an entirely new type of trading account, an account on margin, basically you are trading on credit. Now to me that is too much work, I am happy with my regular trading account where I can buy stocks and ETFs. But how can my regular trading account benefit from something going down. So to understand what each ETF does, look at the letters in the ticker. The "H" simply means its an Horizions ETF, the next letter is either U or D, up or down. The 3rd letter tells you what this ETF is tracking, O is Crude (Oil), G is gold, Z is Silver, and N is Natural Gas. All of these commodities are tracked daily on sites like CNBC and BNN . So after you add to these to your watch list and start to see how they react to commodity prices. If the price of crude goes up 4% then the HOU etc goes up about 8%. Yes that right, you can make 8% in 1 trade. Remember the ETF is leveraged so anything the commodity does, its 2 times. Now if the price of Crude drops 4%, the HOD ETF will gain 8%. How is that possible, remember its inverse leveraged, the "DOWN" ETF likes when something goes down. These ETFs can be used as a day trade only, do not hold these any longer. The leveraged aspect of them is very powerful. So add these tickers to your watch list if you want to gamble a bit without opening an options account. Disclaimer : I have traded all of the ETFs above. Hate paying bills? Get back at them by investing in them. We all have to do it. Pay bills. We all hate it. There is no way to get away from it. "They" get richer and we get poorer. The only way to get back at them is to invest in them. If you can't beat them, join them. The old saying goes. For all the money you pay into your bills, remember there are hundreds, thousands, even millions of people paying the same bill. What does that mean to the company receiving the money? Profits. Revenue. Goods sold. If you ever thought that a bill you are paying will ever stop. Think of it this way, the company on the receiving end thinks the same way but in a greedy way. They like your money. 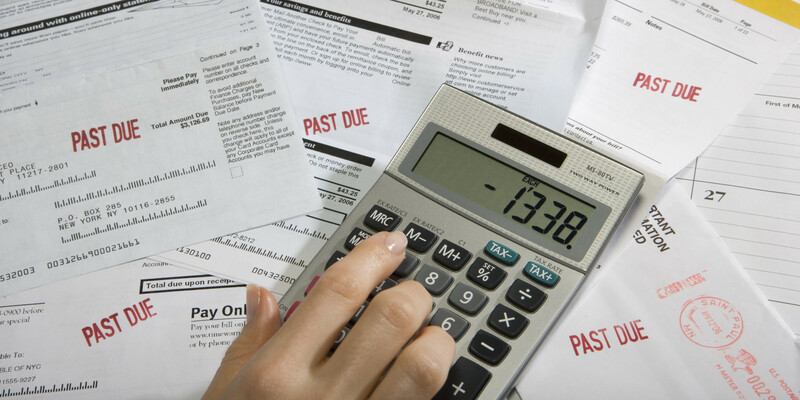 The following are 2 bills that everyone hates to pay and why you should invest in them. Telus is considered to one of the big 3 stocks in telecommunications so if you own a cell phone, chances are you pay Telus a bill. They like overages on your data plan, they like overages on your day time minutes. All more money for them, more out of your pockets. Get back at them by investing in them. Telus is considered a forever stock with a great dividend. Basically you buy the stock and hold it forever and watch the dividends grow. Over the years Telus has developed a reputation as one of the better dividend paying stocks on the TSX. It continues to today. Telus currently pays out a quarterly dividend of $0.46 per share which given the current stock price of $42.03 gives the company a handsome and attractive dividend yield of 4.37% The company has been raising the dividend for several years, which is likely to continue for the next few years. The projected dividend growth rate is 8% per year. By comparison and to see exactly what is happening. A decade ago, Telus' dividend was $0.136 per share. In addition to having one of the most safest and best dividends currently, Telus has also engaged in share buy back programs over the years and this has pushed the stock price higher. Besides having one of the best dividends on the TSX, Telus is also a growth stock. It is one of those rate stocks that can provide great dividends and growth over time. While the growth is not the quickest, it is in most part - stable. The stock is currently trading at $42.03 and over the past 3 years has appreciated by 31%. Onto the numbers. There are many metrics that can and will be used to determine if a stock is a good buy or not. For Telus, the current payout ratio is 73.95% Most investors like a payout ratios to be under 80% which basically tells us that Telus can maintain paying their current dividend very easily for the long term. In the short term, the Beta is currently at 0.55 The Beta basically tells us that if it is under 1, the stock is not volatile compared to the market. If it is at 1 or over, then the stock price can change violently compared to the market. Telus' Beta is good. Don't like to pay that gas bill from Enbridge. Get back at them. Invest in them. 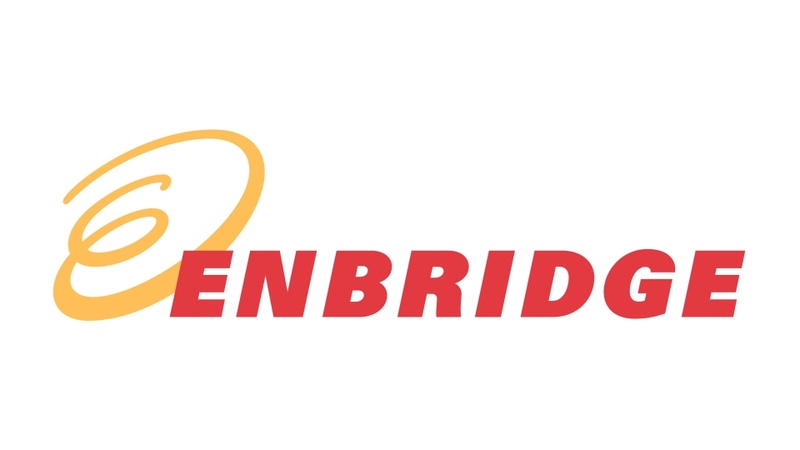 Enbridge's business is the transporting and distributing of energy in Canada and the United States. They have pipelines and terminals. They are also involved in renewable energy projects such as wind, solar, and geothermal projects. Enbridge distributes natural gas to 2.1 million customers. Now when you think of Enbridge, you think of the price of crude and if the price of crude goes down, Enbridge goes down with it. Enbridge is a lower risk investment than the many other energy companies. Less than 5% of its business is subject to direct commodity price exposure. Further, 95% of its cash flows come from strong, long-term contracts. Onto the numbers. Enbridge's payout ratio is currently 40% and using the 80% rule, this tells us the dividend is safe and is positioned to grow. The Beta for Enbridge is 0.66 which tells us that the stock price will not change violently compared to the market. Enbridge's current quarterly dividend is $0.53 giving a dividend yield of 3.65% at the current stock price of $58.11 Using the 1 Drip model. You should purchase 120 shares which will give you a dividend payment of $63.60, with the annual dividend hikes, you should be setup for many years with a purchase like this. Another metric that I use when determining when to put my hard earned money to invest is raising dividends. I like dividend investing, pick your stock, investigate whether it is fits your criteria to be in your portfolio. Of course, neither me or anyone else can control whether the stock price goes up or down. I would be lying if I only purchased stocks that increase in value. That fact is, we can't control anything when it comes to the price of the stock. What we can control is when to buy and dividends. For a long term perspective, raising dividends appeal to me, a company that pays outs dividends has an obligation from the board of directors to maintain profits. In fact, if a company hikes dividends on a regular basis, this translates into the board of directors having not only to maintain profits but to increase them. An example of the type of chart to look for would be Fortis (FTS.TO). Currently at a stock price of $42.95 with a quarterly dividend of $0.375 per share, Fortis' dividend yield is 3.49% The dividend yield for any stock can be calculated by this simple formula. The formula can be changed easily when dividends are paid monthly as opposed to quarterly simply by change the 4 to a 12 in the above formula. That being said, my ideal stock would have a dividend yield between 3.00% to 5.50% This is what I would consider the sweet spot of dividend yields. It gives you enough skin in the game and is also not being greedy. There are tons of stocks with dividend yields above 5.50% but a high yield indicates a possible dividend cut. Who wants that. As you can, the amount of the dividend paid by the company increases once a year. I like that. If I was to go further back, I would see regular increases once a year. Again I like that. This is the type of chart I look for in a stock, raising dividends on a regular basis. So along with my article on P/E ratios as an investment metric P/E Ratio . Raising dividends are another metric that I use to determine which stock my hard earned money I invest in.